You'll love being home alone in this Grande Dame on the corner of Fifth Avenue and Central Park. Hotels like the Plaza New York are a dying breed. It’s an American symbol where Beaux-Arts designs and Old World luxury live on. Even little details like the bathroom taps come with 24-carat gold plating. Considering the hotel’s history, and clientele, you’d expect nothing less. 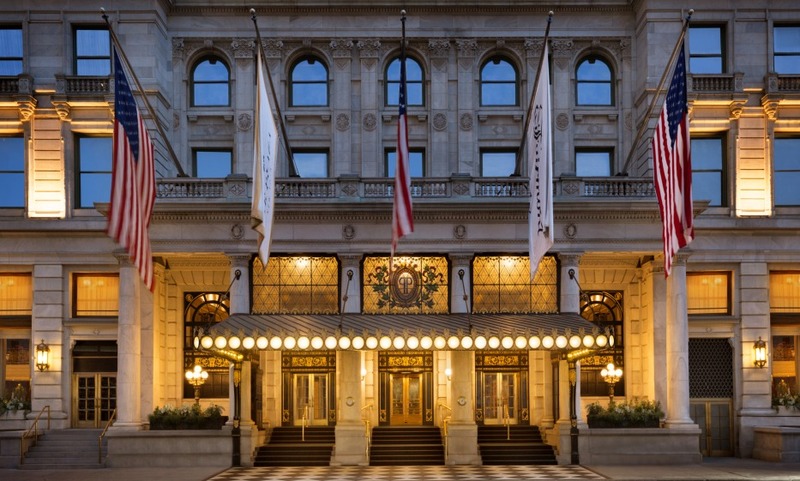 The Plaza New York’s connection with the Hollywood elite and New York’s upper crust runs deep. Truman Capote hosted his famous Black & White Ball here. F. Scott Fitzgerald and wife Zelda were regulars and Marlene Dietrich loved it so much she booked herself in for over a year before starring in Alfred Hitchcock’s Stage Fright. Nowadays, the atmosphere - and guest list - is just as illustrious, albeit more discreet preferring hush hush stays in the hotel’s legacy suites far from Paparazzi and prying eyes. Even if you’ve never visited, chances are you’ve seen its palatial interiors in the Great Gatsby, Eloise at the Plaza, Home Alone or any of the other 20+ films in which it’s appeared. So, if you get an air of “déjà vu” on your next stay, you’ll know why. Located in the heart of Midtown, at the crossroads of Central Park and Fifth Avenue. The opulent breakfast at the Palm Court, worthy of a Great Gatsby scene. The white glove butler signature service for all suite guests. The Plaza is a lovely hotel with a great location if you are looking for classic elegance. Very well maintained, excellent service, lovely experience. The scent of the lilies in the lobby was a bit overwhelming (though beautiful). Our stay at the Plaza New York was most enjoyable. All of the hotel staff were so pleasant and helpful, it was a joy to interact with everyone. Our room was very nice, but quarters were a little tight. The bath was very luxurious.